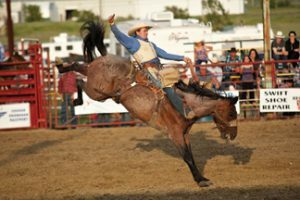 For Canada’s 150th birthday, this year’s Swift Current Frontier Days celebration plans an epic return to its cowboy past. But that doesn’t mean Frontier Days is just for the cowboys, says Bells. Instead of just sitting back and having people come out and enjoy the show at the Kinetic Park grounds, Frontier Days is more focused than ever before on bringing the party out to everyone in the community, says Bells. This year’s honorary parade marshal will be veteran, professional rodeo pick-up man Wade Rempel. Frontier Days will also honour veteran, rodeo clown and entertainer Lee Bellows at the CCA event on June 30. Bellows will be retiring this season after 53 years in rodeo. Bells says she can think of no better combination than celebrating everything wonderful about Canada and local cowboy culture all rolled up into one amazing package. The fireworks will also make an extra special nod to the Maple Leaf this year. Bells says you definitely don’t want to miss this year’s Frontier Days. Frontier Days in Swift Current is marking Canada’s 150th birthday with nod to its early cowboy roots. 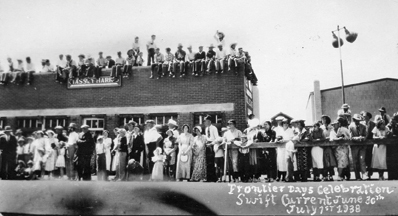 First Frontier Days parade held on July 1, 1938. 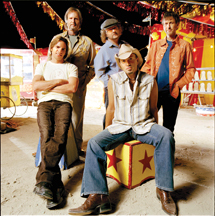 Country music legends Sawyer Brown will co-headline this year’s Grandstand performance alongside Canada’s own Washboard Union.